Sunsets are basically magical for me and they never get old.I'm extremely blessed to live in a part of the world where I can go to the beach year round.Do you know what else is magical and a fashion blessing? Chambray that's right chambray tops are magical as they can be styled in an array of ways. Dependant upon the wash they can be dressed up or down for day or night. Chambray tops are essentially the blouse equivalent of denim jeans and are now considered a staple item.I previously styled chambray tops here, here and many more times. I am even warming up to the old "Canadian tuxedo" aka denim on denim. Remember when styling your denim on denim looks don’t match your denim completely.By including slight or drastically varying shades you visually break up your look which is overall more flattering to the eye. Another tip when styling your looks is to incorporate balance to an outfit with both loose and tight pieces.This can be done by incorporating a loose top when wearing skinny jeans or a more form fitting top paired with the current flare trend. I love wearing my chambray top with black skinnies or a black skirt. My favorite Chambray has tiny white polka dots on it, so I keep my bottoms very solid in color. Love this staple item. The possibilities are endless! I agree Kiki the styling options are endless. 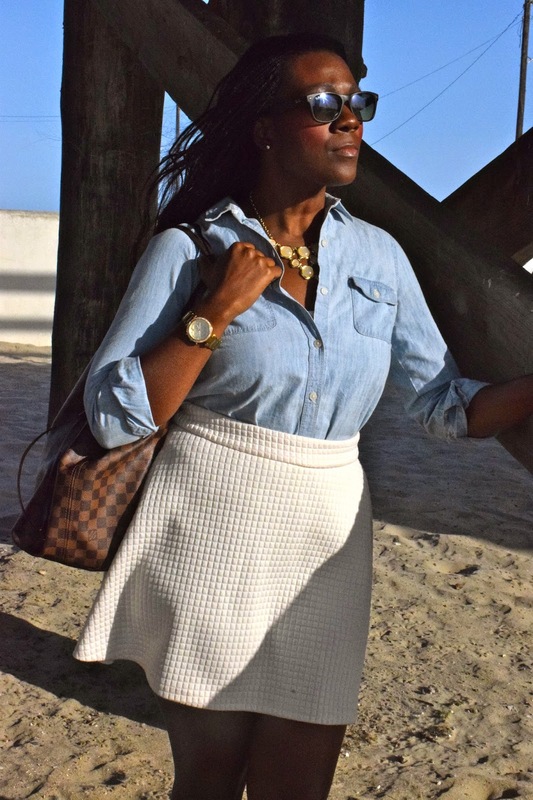 I just loooove chambray; you styled this top perfectly, lady! Thanks Melanie and teh bes part is i found it on sale! I am so loving this look and that skirt. Beautiful. I love that chambray seems to be great fit with almost everything! Thanks Biana I'm sure your top is out there haha! love this! I actually really need to find some new chambray tops but I'm not sure where to start looking! Thanks Jessica I would startof looking at Old Navy or event target they have a decent selection and friendly price point great for starting/ trying out new styles. You look fabulous! Loving that skirt! Thank you, I appreciate it Shannon! So pretty with the white skirt! These shots are super gorgeous and I love the location. Love the white skirt! This is a great spring look. Such a cute and feminine way to style Chambray! I wear mine literally with anything. Such a perfect piece to have in my closet! I agree chambray is a closet staple. Love me a chambray shirt, especially in the spring. I love the way you styled yours! Love these beachy shots! This white skirt is adorable! 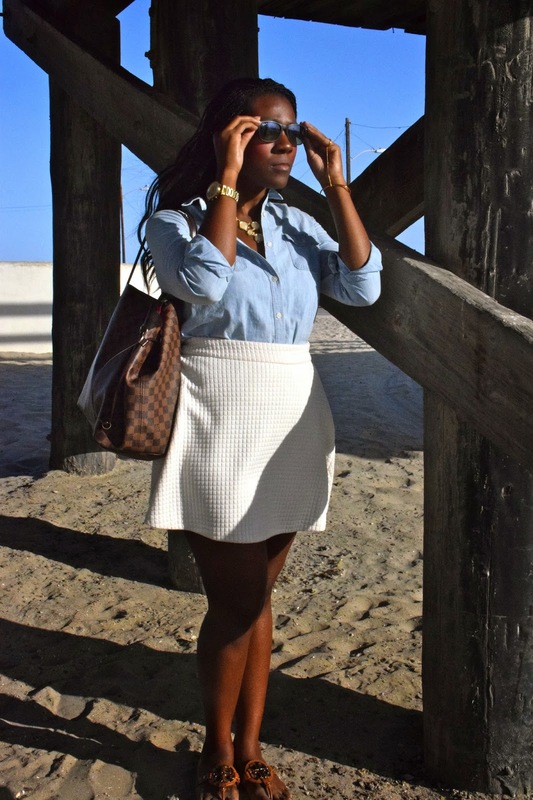 Love the skirt with the chambray! Girl, you are looking summer chic!! I love a good chambray and I pretty much wear it with everything. 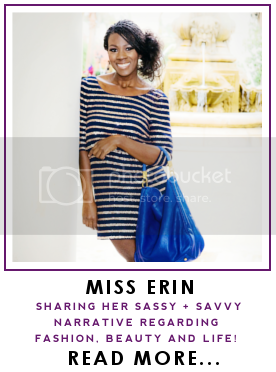 I especially like wearing mine with skirts for a more casual yet polished look. As always you look beautiful! Great outfit! the texture of your skirt is just amazing! Thanks Ashleigh I appreciate it!